Gender is a topic that has always occupied society but recently it has become even more of a hot topic, with transgender people becoming more visible. Different cultures manifesting over the years have understood it in different ways. Despite the presence of transgender people becoming more evident, the complex stories of ‘transgendered’ individuals still remains untold. Each person has a different and unique story, with a unique blend of psychology, biology and culture. There are 7,431 people in the U.K. who have transitioned and an estimated 50,000-90,000 people who would like to transition but feel unable to do so. Some of this is due to the growing discrimination amongst varying cultures and beliefs. 62% have experienced transphobic harassment from strangers in public places within Britain. 84% have thought about ending their lives at some point, and 35% have attempted suicide at least once with Britain and 19% have been hit or beaten for being trans within Britain. (Trans mental health review, 2012). 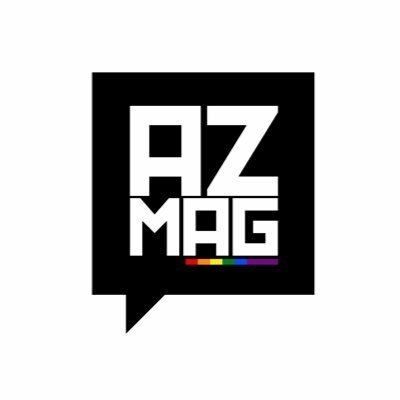 A.Z took the time out to speak to “G” to gain an insight into what it means to be trans*. AZ: What was growing up like for you? G: I always knew I was different from a young age. I never liked wearing female attire or being referred to as a female, but things became clear to me in my late teens. I began to research into what it meant to be transgender and found that there was something that could be done and something I could do to feel more like ‘me’. How have people responded to your decision? The response has been both positive and negative. The positive response would usually entail statements like “I always saw you as male…” and then followed by questioning on a positive spectrum to understand me better. The negative responses definitely out way the good ones but I came to the realization that the only persons feelings, emotions, or thoughts towards my decision that matter are my own. The hardest challenge for me was admitting to me my parents that I wanted to transition.This was particularly difficult because my mother is my role model, she taught me the importance of love, respect, understanding and she gave me life. I always felt I owed her for all the things she has done for me throughout my life and that she continues to do. The first gift given to you by your parents is your name and that had to change to reflect who I was. She supported me once I had the confidence to speak to her about it and since then I have had an even better relationship with her which I am overwhelmingly pleased about. I didn’t grow up with my father for the majority of my life but he always showed me love. Everyone refers to my personality as well as looks as a copy of my fathers which brought me a lot of inner happiness to know I carried similar attributes. Also my younger brother, my father and I, share the same birthday which is something he has always expressed to be happy and grateful for, so the fear of telling him and having that bond broken was terrifying but he was accepting and supportive of the changes I wanted to make. Family is important to me and I was brought up in a family orientated environment. I am of Caribbean descent and had never heard of anyone in my family being lesbian, gay or even bisexual. The fact that my immediate family were completely understanding took pressure off me feeling alone throughout my transition. My friends helped me a lot too, naturally we tell our friends our secrets and have conversations about doubts, fears and talking it through with my friends aided my confidence to maintain strength over these years of transitioning. What has being trans* taught you? Being trans* has taught me to be strong, never question who I am for the justification of other people’s approval, to be open minded to all life’s possibilities and to never give up on who I am. This journey is not an easy one but to match the love with my inner feelings, emotions to my outer image is a moment I cannot wait for but I know I must be patient. How has transitioning affected your dating life? All my previous partners were respectful towards me and my journey. When do you think is the right time to tell someone that you’re dating about your transition? If you don’t know my past then, I’m a guy. If I feel there is a deeper connection that may lead you to be closer to me then I will create the foundation of truth so you understand me better. The reason why I deal with it in this manner is to protect my feelings and emotions from negative energy, because I am human and sometimes things that are said can hurt your confidence, so If I can avoid the encounter I will. What does being transgender mean to you? Transgender to me is merely a category to let people understand who you are with less words needing to be used. I prefer to say I’m guy and leave it at that. But with that being said, it is important to educate people on what it means to be trans*. What would your advice be to someone who is transitioning? My advice to anyone transitioning would be to ask yourself a set of personal questions like, if no one accepts this decision could I face it alone? If I don’t transition would I feel incomplete? Am I ready to do all the requirements of change? Will I be happier with changes of inner and outer appearances, keeping in mind some are irreversible? Make sure this is your decision and no one else’s and do lots of research. What has helped you become the person you are today? To be on this journey, with the continuous support, love, and respect from the ones I cherish. I feel happier and happier each day I get a step closer to becoming more myself, this happiness alone gives me the strength become a better person.